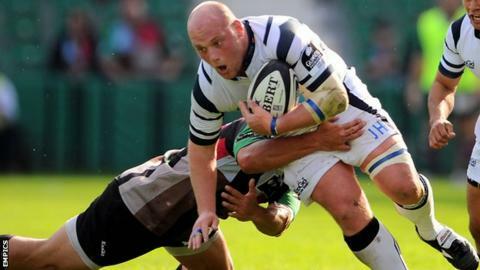 The Rugby Football Union have dismissed Bristol's appeal against Jason Hobson's 12-week suspension. The prop had pleaded not guilty to biting Plymouth's Bevon Armitage on the arm during a mass brawl in Bristol's 21-8 victory in November. Both clubs received a suspended five-point deduction after the incident. Hobson's ban runs until 9 April, which takes into account the two weeks already served and the fact that he has played since an appeal was lodged.